I have struggled with sinus congestion my whole life and have tried every kind of nasal strip available. 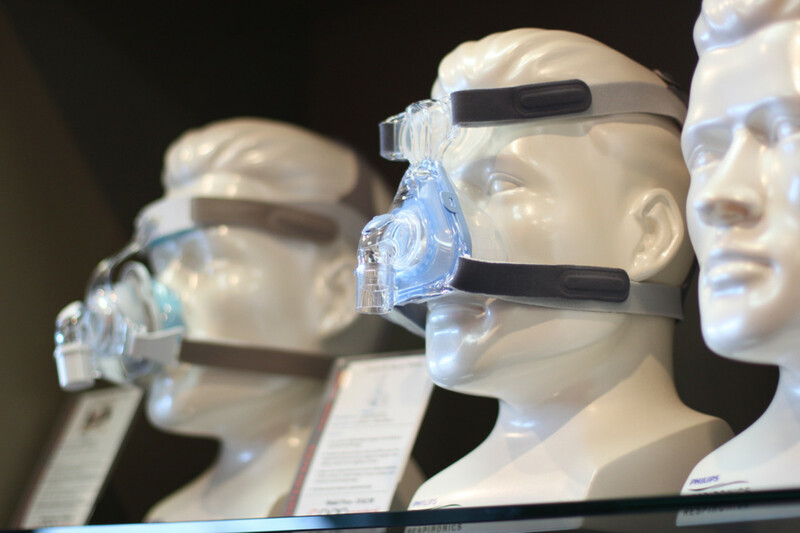 Nasal strips are very simple to use and can be very effective. However, depending on the quality, or if you fail to follow the instructions provided in the packaging, the powerful adhesives may give the nasal strips a death-grip on your nose, making it hurt or even tear the skin when you try to remove them. Don't try to just rip it off. Read the instructions below before you do anything else so you don't pull the skin off your nose and cause unnecessary irritation and damage. I have found that generic or knock-off nasal strips are the most likely to get stuck on my nose, but Breath Right strips can also get stuck. Try the instructions on the package first. Wash your face with warm water or wet your face thoroughly in the shower, and try to gently lift up one edge of the strip. If you can't pull it up without discomfort, stop immediately. The warm water is supposed to soften the adhesive, making it easier to peel off the strip. If you feel any uncomfortable pulling or peeling sensations or any pain, stop immediately. It’s easier to damage the skin of your nose than you might think. If peeling with warm water doesn't work, try using a warm washcloth. Soak a washcloth with very warm water and hold it on your nose over the strip for several minutes, allowing the warm water to soak into the strip. Then, try to gently peel off the strip. Again, if you still feel too much pulling on your skin, stop pulling. If the Breathe Right strip is really stuck on, try using food-grade oil to lubricate it. Saturate the strip with olive oil or cooking oil. Allow the oil to soak into the strip for several minutes. Apply the warm wet washcloth again. This should allow you to remove most of the strip from your face. There will be some adhesive residue left on your nose. To remove the nasal strip adhesive, use a bit of oil or some face soap to soften it—it will become soft and gooey. Wipe it off with a warm washcloth. 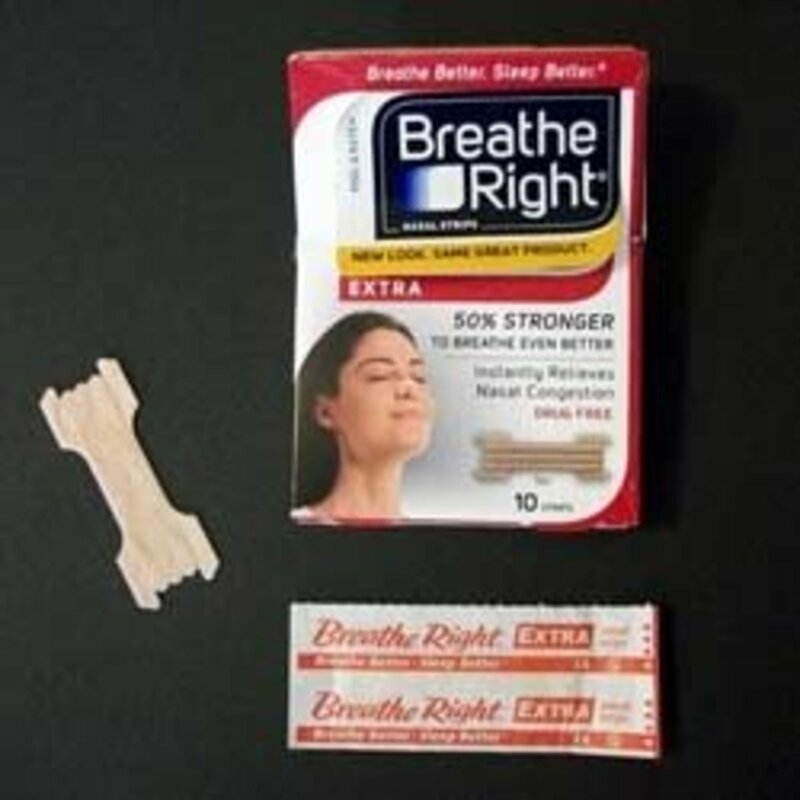 Breathe Right strips are perfectly safe to use, even if they do get firmly stuck on your nose sometimes. It’s almost always caused by user error. Why Are Breathe Right Strips Sometimes so Hard to Remove? The packaging warns against using a Breathe Right strip for longer than 12 hours to prevent this issue. The adhesive is designed to have a strong bond with your skin so it holds the springy plastic against it under tension for up to 12 hours. However, if you leave the strip on too long, the powerful adhesive will bond more intensely to your skin, just as other glues get stronger as they dry. It's easy to leave them on too long because they are so comfortable you may forget you're wearing one. I've done that many times. Another reason why the strips might get stuck on your nose is because of exposure to moisture and heat. I'm not sure how this works, but if I wear a nasal strip while cooking or in a sauna, it seems to stick even harder. Maybe it softens the adhesive, allowing it to conform closely to the skin of your nose and get into the pores. Take the strip off immediately after it gets wet or hot and you should have no problems. If you let it dry out or cool down afterward, it will probably be really hard to peel off. The sensitive skin variety is good for continued use. It is less irritating, in my opinion, and I alternate with these and the regular variety. However, the clear strips are more likely to fall off on their own. The small/medium size strip is what I use. My nose is a pretty average sized adult female nose as far as I can tell. The large ones are really quite large and I found them unusable when I accidentally bought some instead of the small/medium sized strips. You really need to get strips sized for children if your pre-teen child is using them because the small/medium adult size is really more a medium adult size. The sensitive skin variety is good for continued use. It is less irritating, in my opinion, and I alternate them and the regular variety. However, they are somewhat more likely to fall off. My favorite strips are the menthol ones. The scent is pleasant, a bit like a mentholated cough drop, and they seem to promote freer breathing just a little bit better than the plain strips. I have sinus problems and nasal strips let me sleep without waking up in the middle of the night feeling as if I’m suffocating. I discovered them after being diagnosed with thyroid disease and finding well over half of the cold medicine shelf at the pharmacy off-limits. Of course the cold medicines I couldn’t use anymore were the ones that worked best for me. But it was actually a good thing because I decided to give the strips a try and the results were better than cold medicine, at least for me. 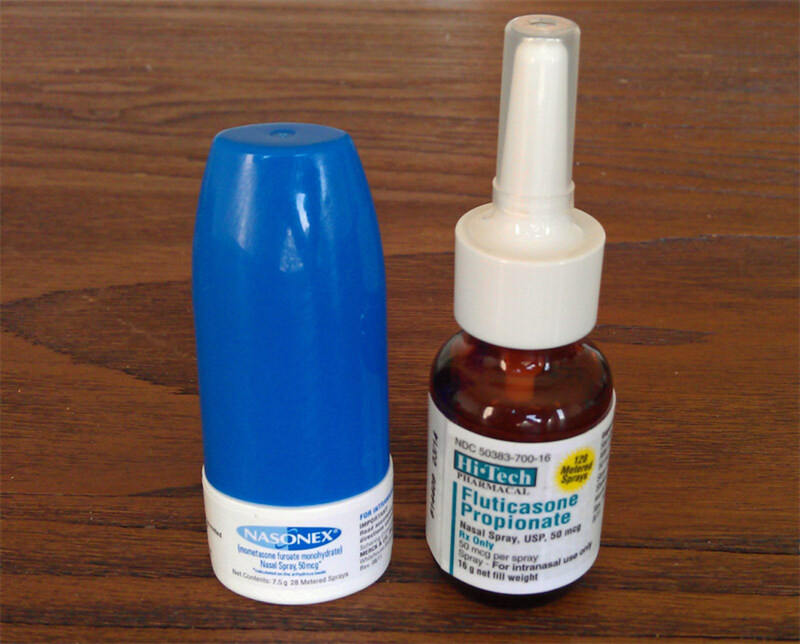 The best thing about them, as far as I’m concerned, is that they work to open nasal passages even when they are swollen shut without the drying effect that antihistamines have. I used to get random bloody noses from that drying effect when I used cold medicine and I used to think they were caused by the colds themselves, but I haven't had one since I switched to using strips instead. I've been using these strips for almost twenty years and still love them, even though my nose has a little scar on it from where I screwed up with them. And now you know why I wrote this! Do You Use Nasal Strips? Have You Ever Had One Stick Tight? I Used this before, it was a very useful article, thank you. Thank you for an informative article. I ended up holding a damp hot washcloth over the strip for 30 seconds, then applied some thick face cream around the edges, then the washcloth with hot water again. This is the easiest they ever came off. Your article gave me direction. I conquered them in 30 minutes the first time I snored it off. When I did getbit to stick it took forever to get it off and my nose looked like I had a burn! Not gonna use them again! @deliusgirl: In the daytime, when I'm not wearing the strips, I dab a bit of triple antibiotic ointment on my nose where the strips go. I also take a night off every week and I use an antihistamine (chlorpheniramine) and Vick's Vap-o-rub on the nights I skip the strips. While it doesn't do as good a job as the strips, I think the sleepiness caused by the antihistamine allows me to fall asleep anyway. I admit it isn't as good at keeping my nose open but it helps. I also sometimes steam myself with a really hot shower at bedtime on those nights.If your nose is really irritated you may need to skip more than one night a week for a bit.I can really relate to your problem and I hope you find relief. After years of nightly use of the clear strips, my nose is getting red and irritated. I NEED these things to breathe! What can I do? Someone in my house has horrible sinus problems and I think one day I'll get a few in my amazon cart. I think he'd tried the knock-offs before and is now "against" them. 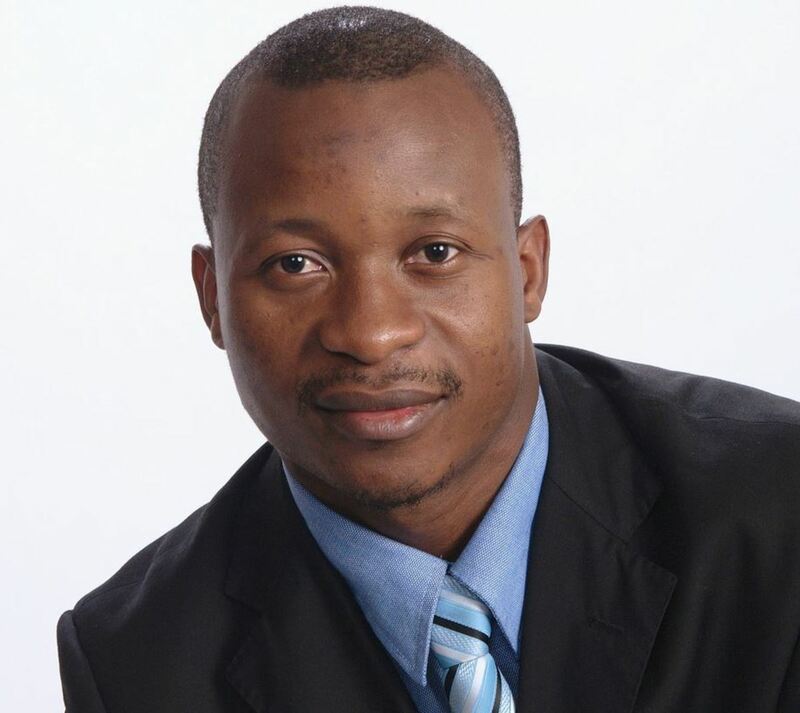 When they're sitting on his night table he just might relent and try. I appreciate the instructions for if one gets stuck.